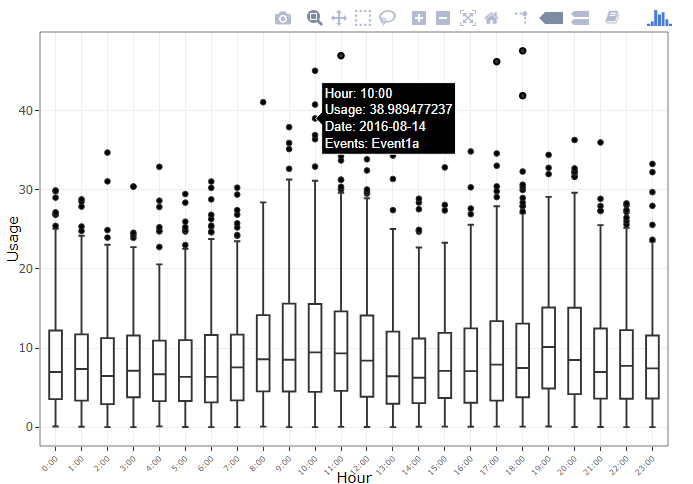 There are many instances where we find a list of useful items or a table placed on a web page that can help us enhance our analysis or even form the data for our projects. Most often, copy pasting off of the web page does not work very well and can take hours to complete. This is the situation we were faced with when trying to a list of organizations for one of our clients’ projects. 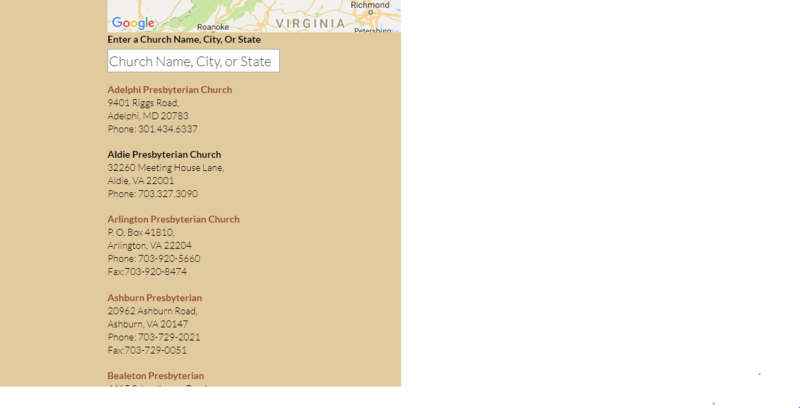 The churches are listed out alphabetically on the website as links with the address and phone number as text below each link. In this post we describe the steps to go about creating a routine for scraping such data from a website. The first thing we do is to load the necessary packages required for webscraping in R. We use the rvest package for scraping and stringr to clean the data. We then define the url containing the information we need, and read_html() function reads in the url and returns the information as an xml document. Once the nodes/elements are accessed using html_nodes() function, the actual content is retrieved using html_text(). This part is specific to the kind of resulting text your scraping retrieves. 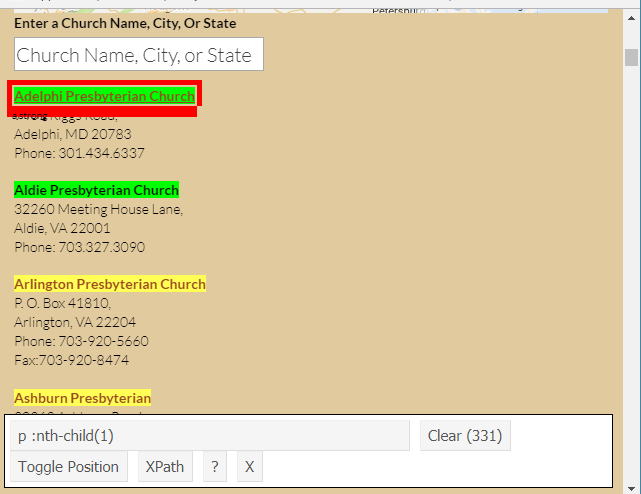 We faced the issues of having blank rows/churches and duplicated rows for each church, that need to be removed. Regular expressions are useful in pulling out the appropriate parts from the messy text containing escape sequences. In this case, we needed to clean up the text and extract the phone numbers, addresses and state zip codes separately to put them in separate columns. OAITI is a 501(c)3 nonprofit organization. Your gifts are tax deductible to the fullest extent allowed by law.